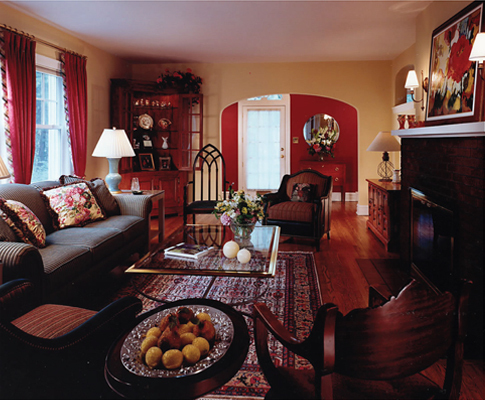 Home remodeling and redecorating projects are often designed and executed in phases. 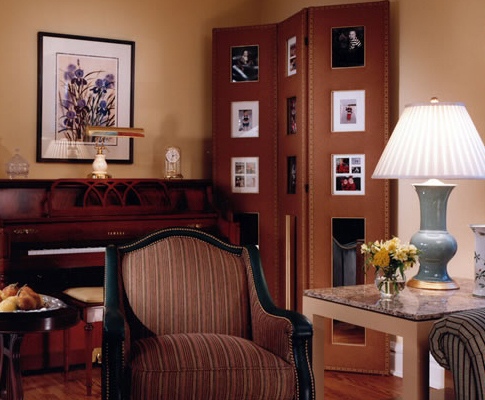 This traditional home in Hinsdale, Illinois had all of its rooms upgraded and redecorated over a number of years. Note how new and existing furnishings are comfortably integrated. The folding photo screen is a custom design by NPLH.